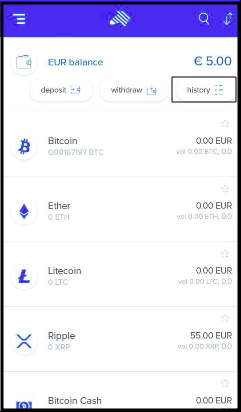 You can view the history of all your wallet and trade transactions within the app itself. 1. FIAT deposit and withdraw transactions. Select History on the homepage. 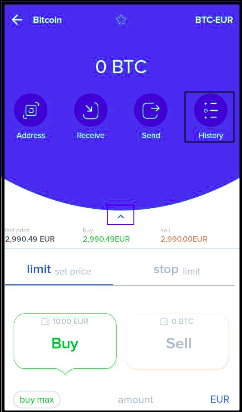 You can view transaction details by tapping on the desired transaction. 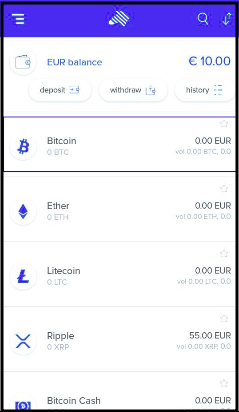 Choose the coin for which you would like to check the transaction history. Select History and you will see all your trade transactions for the selected coin.